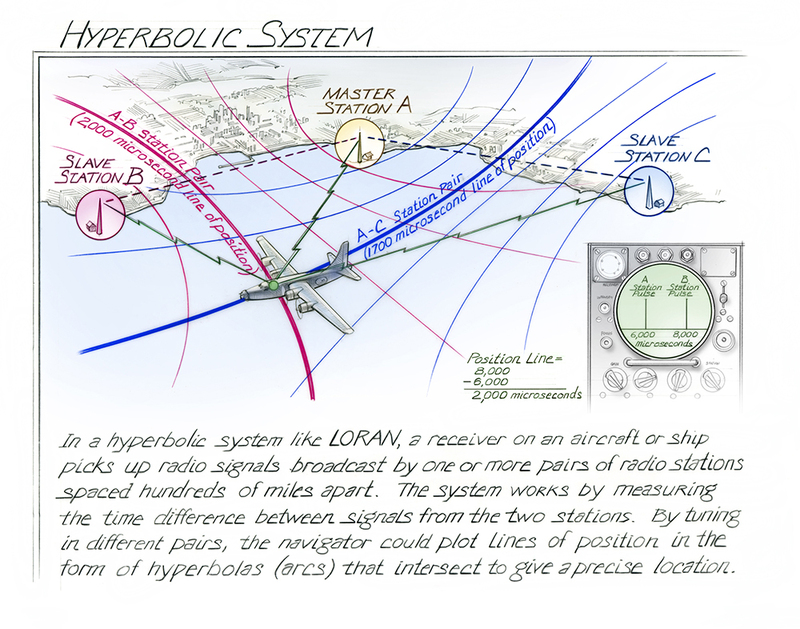 In a hyperbolic system such as LORAN, a receiver on an aircraft or ship picks up radio signals broadcast by one or more pairs of radio stations spaced hundreds of miles apart. The system works by measuring the time delays between signals from the two stations. By tuning in different pairs, the navigator could plot lines of position in the form of hyperbolas (arcs) that intersect to give a precise location.